Loss is difficult. It is a trying time that can feel overwhelming. At Bergen Funeral Service, we approach funeral arrangements with compassion and dignity. Whether there’s an immediate need or pre-planning for memorial services, our compassionate and professional funeral home staff can help make informed funeral arrangements. At Bergen Funeral Service, we will thoughtfully speak about your many available options while always remaining respectful of the wishes of your loved one, your family, and your finances. Our funeral directors are familiar with most religious funeral customs and necessary special arrangements. We will work with you to ensure that your family’s religious views are honored. 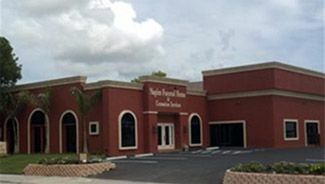 Bergen Funeral Service has four locations within the New York/New Jersey Metro area and one location in Naples, Florida. Our chapel comfortably accommodates many family and friends while providing a tranquil setting with audio and visual capabilities that create a truly unique funeral service for a loved one. 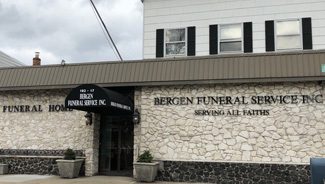 At Bergen Funeral Service, our team at our funeral home in Bergen County, NJ understands how difficult a loss can be, and approaches funeral arrangements with compassion and dignity. Whether you're in immediate need, or pre-planning memorial services, our compassionate and professional funeral home staff will help you make informed funeral arrangements. At Bergen Funeral Service, we will patiently speak with you about your many available options, while always remaining respectful of the wishes of your loved one, your family, and your finances. Our professional funeral directors are familiar with most religions’ funeral customs and special arrangements, and can work with you to ensure that your family’s religious views are honored. 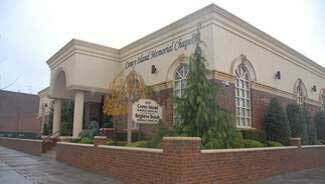 Our funeral home in Bergen County, NJ is one of four locations within the New York/New Jersey Metro area. Our chapel provides a tranquil setting with audio and visual capabilities that creates a truly unique funeral service for a loved one. Our chapels are large enough to comfortably accommodate many friends and family if a large service is requested. Our state-of-the-art audio and visual equipment can provide meaningful memorial presentations to pay final respects and speak to a life cherished. When you discuss a loved one’s final wishes with us, we can begin arranging photographs, keepsakes, and other media to create a considerate funeral service in our neighborhood funeral home in Bergen County, NJ. We have the means to carry out full religious services, viewings, and burial services. As a community funeral home in Bergen County, NJ, we emphasize the warmth and compassion we provide to our bereaved neighbors who come to us. We try to alleviate some stress during this difficult time by dedicating the respect and attention to detail necessary to carry out each service we provide. We respect your service decisions and carry them out with professionalism and care. Our funeral home in Bergen County, funeral home in Brooklyn and funeral home in Queens offer both cremation services and burial services to fulfill the wishes of your loved one and family. If you wish to transport a loved one to another state or country for a special cultural or spiritual ceremony, we can ship domestically or internationally to suit your needs. Bergen Funeral Service is referred to as a ‘known shipper’, meaning we are authorized to schedule flights for this purpose. We are located close to both Newark International and JFK Airports and have wide access to airlines, allowing us to quickly make proper arrangements for travel. We will provide all of our services with the patience, professionalism, and care required to carry out a memorable service. 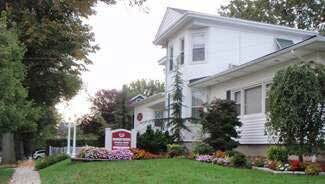 For more information about our funeral home in Bergen County, NJ, please call us at (800) 262-7901. For more information about our Brooklyn, Queens, and Florida locations, please visit our Locations.